If Quinoa and chia seeds are the super-foods of our current urban households, then Complan and Horlicks/Boost/Bournvita are considered as super-foods by the previous generation. In the days of few advertisements in TV, I'm so curious to understand how these brands had become household names in the 80s and 90s, more so on how they managed to create such strong beliefs in the minds of the previous generation that these are "must-have health drinks" for children. This post is specifically on Complan. I used to hate the taste of it, it never got properly mixed with milk, always had lumps or gets settled in the bottom of the tumbler ;-) After a couple of attempts, my parents gave up on Complan, as it used to be more expensive than Boost/Bournvita back then. The most asked question from my readers is “Which health drink would you recommend to be mixed with milk?” My answer is “definitely not those packaged health drinks that are loaded with sugar, artificial flavors and additives”. 1. Let’s look at the second listed ingredient - Sugar. 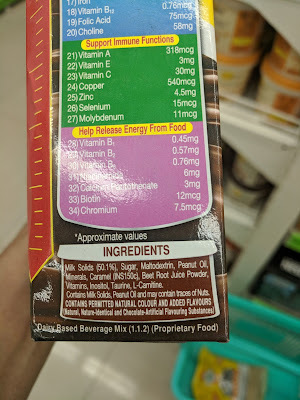 100 gm of Complan contains 29gm of sugar. Nearly 30% of the product is only sugar, so if you take 3 tsp of Complan powder to prepare a glass, 1 tsp is nothing but sugar. While preparing the drink, many of us also add 1-2 tsp of white sugar on top of it. 750gm of Complan Classic Chocolate flavor costs Rs.370 MRP. 30% of 750gm is 225gm, which would cost Rs.111. So for 225gm of sugar, we are paying Rs.111. What an exorbitant price we are paying for consuming sugar, both from an economical and our health point of view! 2. Maltodextrin - A simple google search of “maltodextrin side effects” will show how this starch-derived food additive raises blood sugar levels rapidly. Maltodextrin is a white powder made from corn, rice, potato starch, or wheat. Even though it comes from plants, it’s highly processed. It has high glycemic index (GI). Maltodextrin’s GI is higher than table sugar, ranging from 106 to 136. The high GI of maltodextrin means it can cause spikes in your blood sugar level, especially if it’s consumed in large amounts. Because of this, you may want to avoid or limit it if you have diabetes or insulin resistance. Continuous intake of such high GI products will eventually lead to insulin resistance. Now if you are wondering what’s wrong in giving high GI foods to a child, then let’s first take a step back and honestly answer these questions - “how physically active kids are these days? Are they participating actively in sports? Are they working towards becoming athletes?” Is there a need for such high-GI foods for kids, who are mostly sedentary? 3. In my earlier post on Pediasure, I had written about inositol, taurine and L-Carnitine. 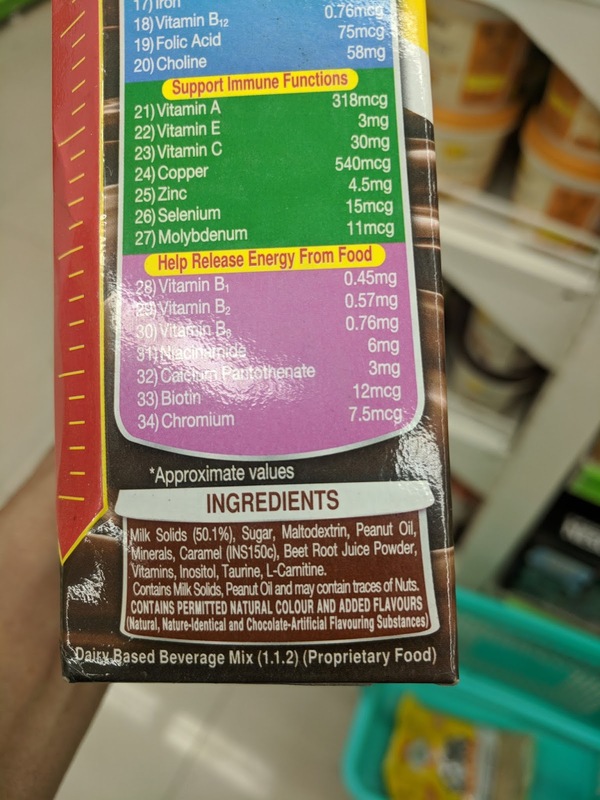 Reposting the same details on these ingredients. One of the side-effects of high inositol consumption (and taurine) is that it increases complications of bipolar disorder. 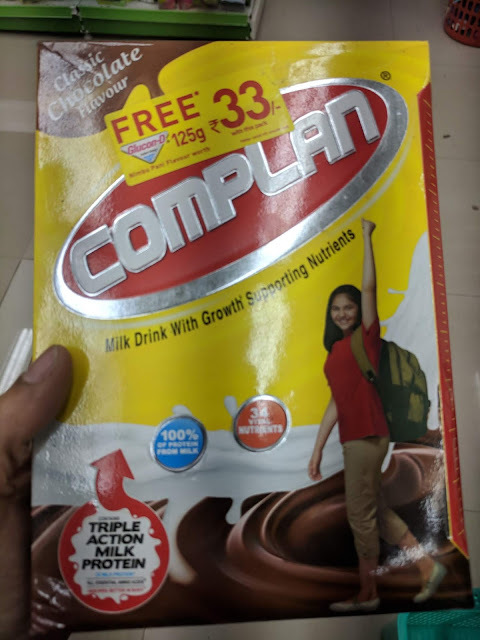 This could be one of the possible reasons why kids who drink Complan put on weight. But again, it is an artificial supplement and I question the need for it. A naturally occurring amino-acid derivative. Our body produces it using the amino acids lysine and methionine. It helps in the production of energy by transporting fatty acids into our cells’ mitochondria. It helps to reverse the decline in brain function associated with Alzheimer's and other brain diseases associated with aging. It is also prescribed as a weight-loss supplement. In 2011, the European Food Safety Authority (EFSA) has reviewed the safety of a group of caramel colors (150a, 150b, 150c and 150d). The Panel points out that adults and children who are high consumers of foods containing these colors could exceed the ADIs established for three of these colors (E150a, E150c, E150d) if they are used at the maximum levels reported by industry. The manufacturing process of caramel results in the production of 4-methylimidazole (4-MeI), which is carcinogenic. Food manufacturers rely on the argument that the quantity consumed have to be extremely high to face the side-effects of this chemical. Now, what about the "good stuff"- milk solids and the vitamins & minerals? Milk Solids are nothing but the dry powder that is left after all the water is removed from liquid milk. Unless and until the milk comes from an organic dairy farm where the cows are treated with respect, chances are that the milk will contain antibiotics, hormones, chemicals from synthetic feed etc, which will also be present in milk solids. 100 gm of Complan contains 30mg of Vitamin C, whereas 100 gm of green capsicum contains 123 mg of Vitamin C.
100 gm of Complan contains 318mcg of Vitamin A, whereas 100 gm of sweet potato contains 1043 mcg of Vitamin A. 100 gm of Complan contains 70mg of magnesium, whereas 100 gm of dry cowpea beans (lobia/karamani) contains 213 mg of magnesium. I'd recommend that you read my earlier article on why kids don't need such high-growth promising drinks. I have shared a few ideas on what healthy, homemade drinks can be given in the morning rush hours.